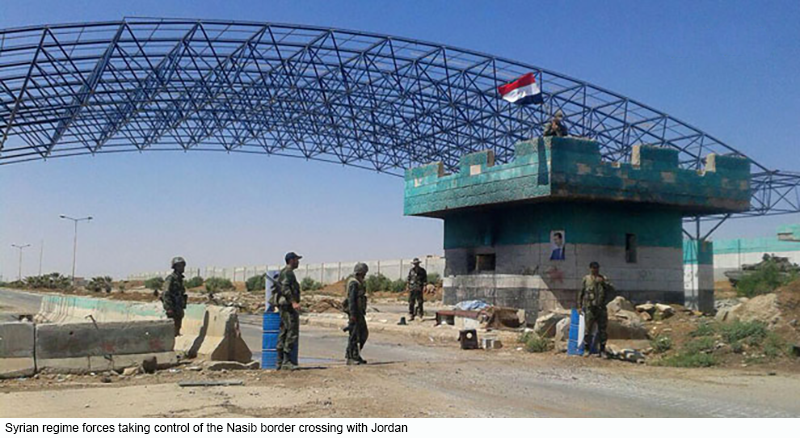 Share the post "Controlling the Nasib Crossing Is a Game Changer for the Syrian Regime"
The imminent opening of Nasib could revitalize commercial trade activities in the Levant. However, the end of the Syrian war should not mean a return to business as usual. The Syrian regime is not taking concrete steps that reflect a tangible change of behavior. The United States and Europe can use the leverage of their sanctions on the Syrian regime to urge Moscow to pressure Assad. However, the regional dynamics might force a new reality as Syria’s neighbors are eager to restore trade and provide relief for their economies. Click here to read my latest analysis.